Art Directors Club of Europe (ADCE) объявил победителей ADCE Awards 2018. В 2018 году на на фестиваль креативности ADCE Awards было подано 720 заявок из 24 европейских стран, в состав жюри вошли 62 ведущих креативных директора из 20 разных стран. 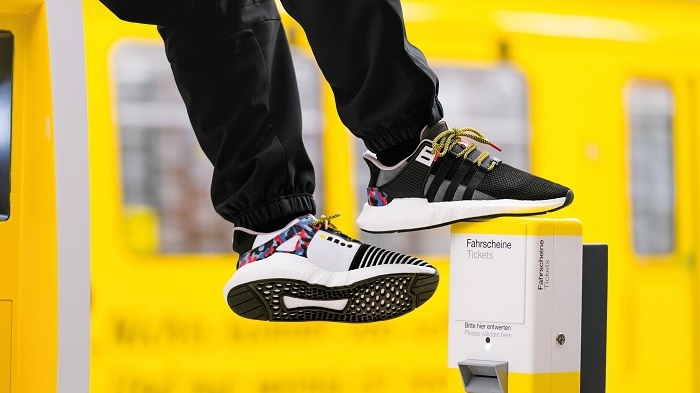 Гран-при фестиваля завоевала работа BVG x Adidas – The ticket shoe, созданная Jung von Matt Germany в коллаборации с системой общественного транспорта Берлина (Berliner Verkehrsbetriebe (BVG)). Украинские проекты в этом году получили 2 золотые награды и 1 серебряную. - TV/Cinema Commercials: “Kid’s Dreams” by Grabarz & Partner (Germany) for Volkswagen. - TV/Cinema Commercials: “Decisions” by Sra Rushmore (Spain) for International Committee of the Red Cross. - Poster Advertising: “Scandal” by Pristop d.o.o (Slovenia) for Cankarjev dom, Drama, MGL. - Poster Advertising: “German Cancer Aid Melanoma Campaign” by HEIMAT Berlin (Germany) for Deutsche Krebshilfe Arbeitsgemeinschaft Dermatologische Prävention e.V. - Newspaper Advertising: “Samsung Newspaper Design Edition” by Jung von Matt/Limmat (Switzerland) for Samsung. - Magazine & Trade Advertising: “Lives way more interesting than yours” by DDB Group (Gernany) for Volkswagen. - Websites: “Flint is a place” by Guillermo Brotons and Frederik Delmotte (Spain) for Zack Canepari. - UX/UI Design: “LAVA” by Gagarín / Basalt Architects (Iceland) for Lava Centre. - Interactive & Mobile - Any Other: “Real Orgasms. The exhibition” by Proximity Madrid (Spain) for Bijoux Indiscrets. - Graphic Communication: “Hornbach Werkstück Edition 001” by Heimat Berlin (Germany) for Hornbach. - Editorial Design: “Olafur Eliasson: Pentagonal Landscapes” by Kuudes (Finland) for EMMA – Espoo Museum of Modern Art. - Spatial / Experiential Design: “LAVA” by Gagarín / Basalt Architects (Iceland) for Lava Centre. - Graphic Design - Any Other: “BVG x adidas – The ticket-shoe” by Jung von Matt (Germany) for Berliner Verkehrsbetriebe (BVG). - Campaigns for promotion sales: “The most German supermarket” by Jung von Matt (Germany) for EDEKA Zentrale AG & Co. KG. - Ambient Media: “Bewegtes Land” by Datenstrudel / Bauhaus Universität Weimar (Germany) for Kunstfest Weimar / Jena Kultur. - Events: “The most German supermarket” by Jung von Matt (Germany) for EDEKA Zentrale AG & Co. KG. - New Use of Media: “Escalating GIFs” by Ogilvy (Germany) for European Anti-Bullying Network (EAN). - Integrated Campaigns: “Free Democrats Dark Diaries" by HEIMAT Berlin (Germany) for Free Democrats. - Integrated Campaigns: “Scary Clown Night” by Lola Mullenlowe (Spain) for Burger King. - Social responsibility Campaigns: “The most German supermarket” by Jung von Matt (Germany) for EDEKA Zentrale AG & Co. KG. - Best use of technology: “The Soundbook App” by Jung von Matt/Limmat (Switzerland) for Swiss NordSüd Verlag. - Creative Strategy: “Pay for Peaceful Sleep” by AGAMA Communications (Ukraine) for Charitable fund “Come Back Alive”. - Design: “Habitat” by Tom Hegen (Germany) from Hochschule Konstanz University of Applied Sciences. - Design: “Sun Wukong – An Immersive Graphic Novel” by Jeffrey Guan (Austria) from University of Applied Arts Vienna. - Ideas: “Ligatura” by Sebastian Kubik (Austria) from University of Applied Arts Vienna. - Design: “Sheboard – Raised by Words” by Katariina Harteela / Hasan & Partners (Finland) for Plan International Finland. - Creative Ideas: “BAS: Bot Ad School” by Daniel Liakh and Kostia Liakhov (Ukraine) for Bot Ad School.